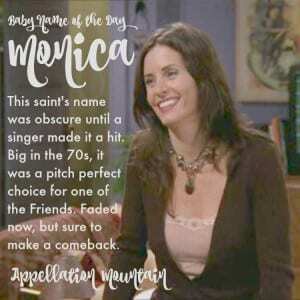 Monica is a saint, a singer, a Friend, a scandal. 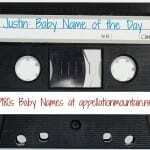 Thanks to Allie for suggesting our Baby Name of the Day. The historical Monica was a fourth century woman, the mother of Saint Augustine. She was a Christian, but her husband was not, and he forbid his wife to raise their children in her faith. Many years later, Augustine converted, penned his famous Confessions, and sung his mother’s praises throughout his work. Because she was probably a Berber, the name’s origins are likely North African, possibly Phoenician. Over the years, it has become associated with the Greek monere – to advise – as well as the Greek monos – alone. The saint remained popular over the centuries. Her relics were moved to Rome in the 1200s, and can still be visited today. 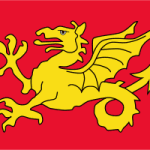 The name seems to have been neglected, at least in English, through much of the Middle Ages. Anthony Trollope chose it for a character in his 1858 novel Doctor Thorne. His character wasn’t very nice, but I suspect he gets credit for the name’s revival anyhow. The name was in use in small numbers by the time the US Social Security Administration started reporting data in 1880. Miss Lewis started out as a singer on a radio show in the late 1930s, dropping her birth name for a more glamorous appellation. She quickly graduated to her own show, Monica Makes Music. The name was slowly catching on, given to fewer than 300 girls every year in the 1930s. She was interviewed by the New York Times, so presumably her show was reasonably popular. And the name did begin to rise, especially after Miss Lewis joined Benny Goodman’s orchestra in 1943 and made even more frequent radio appearances as “America’s Singing Sweetheart.” In 1948, she was a guest on the very first Ed Sullivan Show, and by the 1950s, she landed roles in movies and would continue acting through the 1970s. But she’s best remembered as the longtime voice of Chiquita Bananas. The name peaked in the 1970s, when more than 6,000 girls were given the name most years. It ranked in the Top 100 every year from 1964 through 1997. That made it the perfect choice for one of the fictional Friends. Monica Geller was the hard-working, level-headed mother hen of the 20-something crew, played by Courteney Cox. In real life, Monica Lewinksy would have been a few years younger than Geller. The former White House intern rose to infamy after her affair with then-president Bill Clinton was exposed. Conventional wisdom is that Lewinsky caused the name to plummet. That’s not quite right. The name dropped from #79 in 1997 to #105 in 1998 – but it was already falling out of favor. Monica remained in the US Top 200 through 2002, and while it stands at #537 in 2014, that’s not inconsistent with the rankings of other 1970s favorites. From the 1990s onward, one-named R&B singer Monica gave this name a different spin. Italian model-turned-actress Monica Bellucci, who became the oldest-ever Bond girl in 2015’s Spectre. Tennis Hall-of-Famer Monica Seles, born in Yugoslavia, suggesting that this name may have been big internationally in the 1970s. I think that’s exactly enough to leave the scandal in the past, and to help reclaim this name. Saintly, storied, and worn by a great many women, this name is properly considered an underused classic. What do you think of Monica? Is it dated? Still tainted by scandal nearly twenty years later? Or ready for a comeback? My name is Monica–I used to hate the fact that I never knew another Monica growing up. Then, when I was in my late teens, the Monica Lewinsky scandal hit. As mentioned in this post, it was very short lived (thankfully). 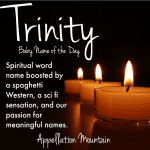 As I grew older, I came to appreciate the unique aspects of my name. And yes, it has been worn by strong women (overall!). I like Monica; it feels classic and fresh at the same time. Nicky would be a cute nickname for it. I don’t think the Lewinsky scandal is going to taint the name in the long run. We know a Monica that was born in 2015! She was named after her great grandmother. She makes the name! It feels fresher than Jessica, more timeless than Rica, and is perfect! We briefly considered Monica when Margaret was no longer suitable, before we ended up with Gwendolyn instead.